The troops of the Nigerian Army have liberated 5,000 captives from the Boko Haram insurgents in Borno State. The Acting Director, Army Public Relations, Col. Sani Usman, said in an electronic mail on Sunday that the troops of the 21 Brigade and the Civilian JTF liberated the large number of captives during a fighting patrol at Zangebe, Waiwa, Algati and Mainari villages. Usman said that the troops of their Civilian JTF counterparts killed six of the Boko Haram members and injured several of them during the operation. According to him, the troops also recovered five motorcycles and bicycles from the insurgents. Usman also said that troops of 7 Division Garrison Rapid Deployment Force II, some of elements of Mobile Police Force and Civilian JTF killed two members of the deadly sect during similar clearance operations at Masu Yiwa, Ladin Buta, Bazaka, Kesa Gala, Tabla, Fahinde, Shirori, Gizina, Maska Aribe, Maska and Maska Lawanti villages of Mafa Local Government Area of Borno State. 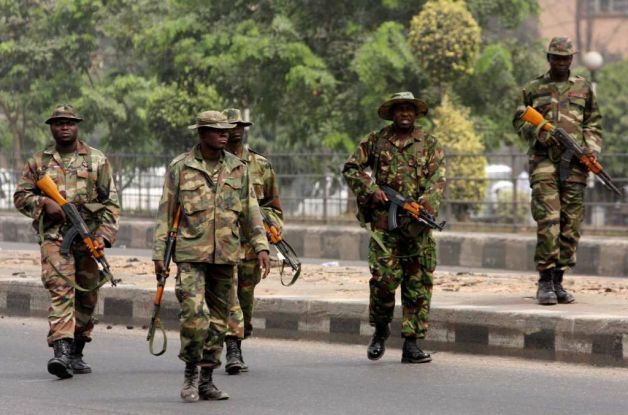 The Acting Army Spokesman said that a member of the Civilian JTF was killed and a soldier and a riot policeman who were injured during the operation had been evacuated to Maiduguri for treatment. He said that a vigilante member who sustained an injury on his eye was being treated and was in a stable condition.